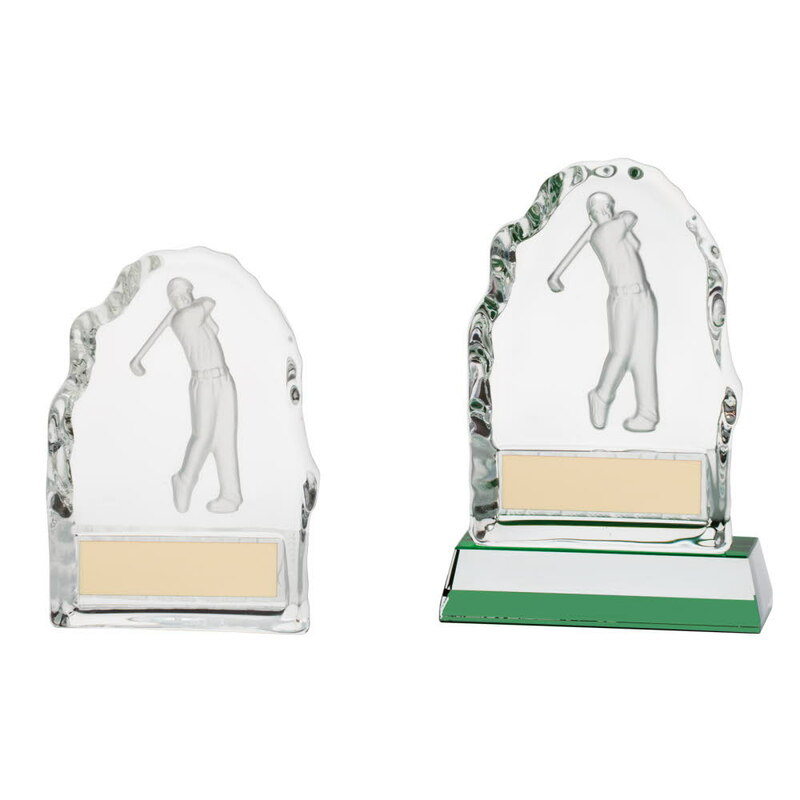 Challenger Golf Figure Crystal Block Trophies. Available in 2 sizes, 110mm and 130mm high. 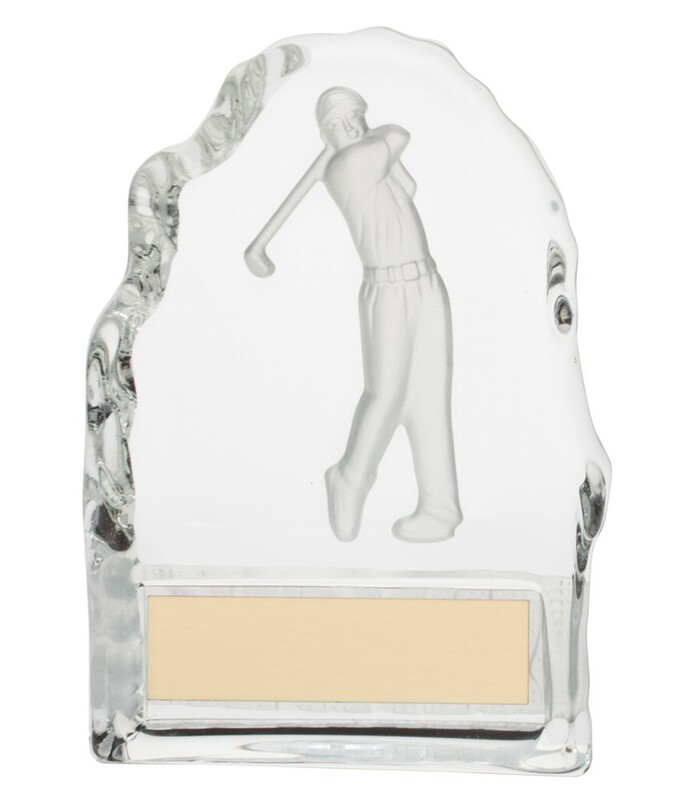 Golf figure embossed within a crystal block. Free engraved plate with your requirements and complete in a presentation box.